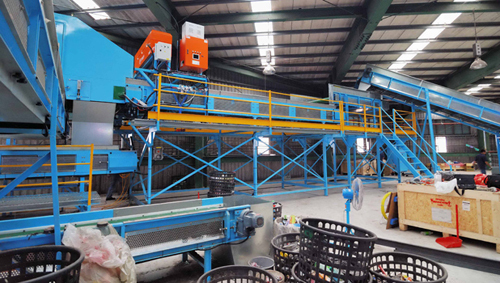 First Step is taking out the cardboard and waste (by manual or plants), and then auto sorting each plastics、papers and aluminums. People have to classify and control the quality before dropping to the storage. 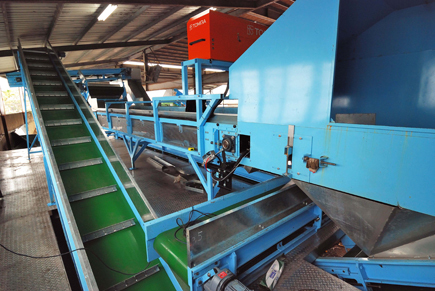 Finally the conveyer delivery each materials to the baler to make a cube (production). 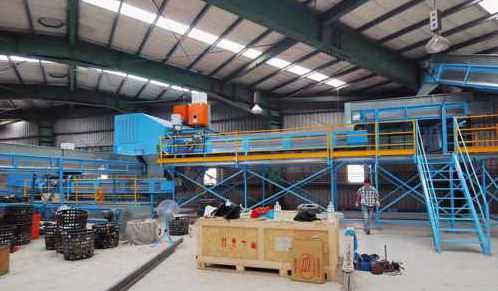 Suspension magnet、Drum Screening、Titech NIR devices with conveyers、hydraulic system for storage、Central Control System、Air Compressor Set、Sorting cabin、Baler.